This trendy little pepper is an heirloom food tradition in its hometown of Padron, Spain. Young peppers just 1½ inches long are sautéed in olive oil, sprinkled with sea salt, and eaten whole, seeds and stems and all. 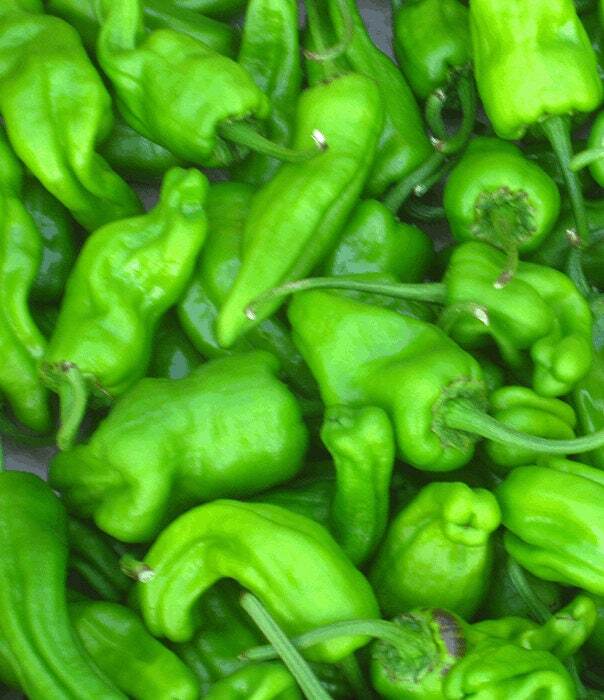 At this small size they are mostly mild, but an occasional pepper will pack quite a load of heat – leading one food writer to dub them “Spanish roulette.” Heat intensifies as they ripen.